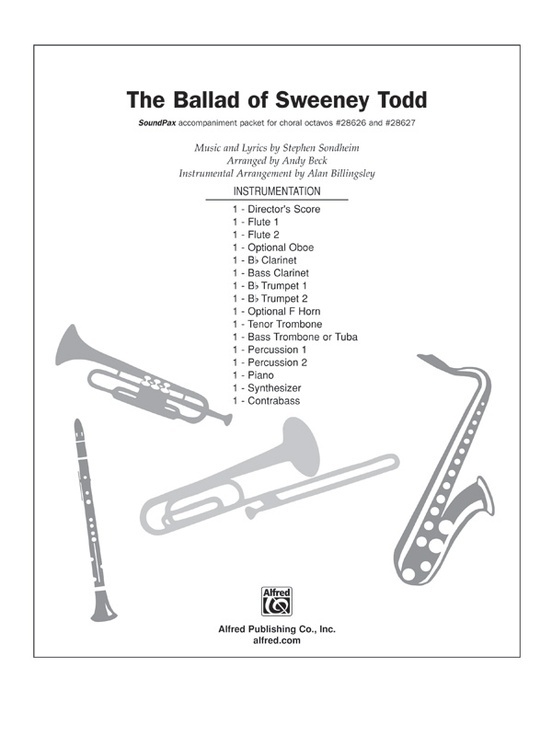 A percussive piano theme underscores this haunting opening number from what many consider Sondheim’s greatest musical score. 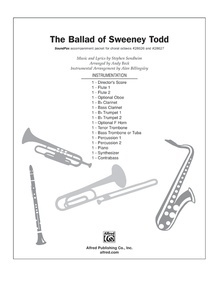 And an ominous chorus invites listeners to "attend the tale of Sweeney Todd" as they sing the textured lines and ear-gripping sonorities of this theatrical classic. A spine-tingling, blood-curdling thriller for mixed choirs. 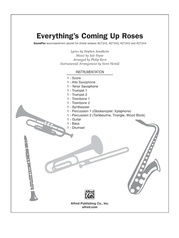 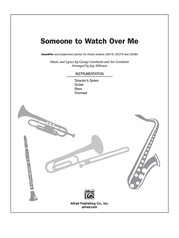 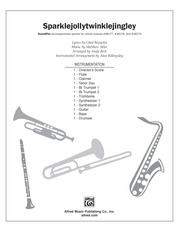 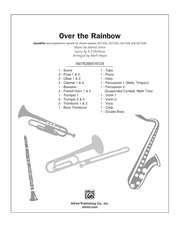 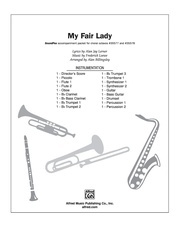 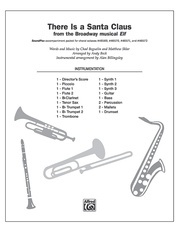 Includes parts for 2 flute, clarinet./opt. oboe, bass clarinet, 2 trumpet, trombone/opt. Fr. 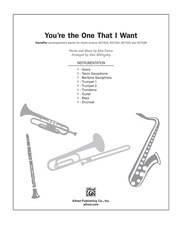 horn, bass trombone/opt. tuba, piano, bass, synthesizer, 2 percussion.